Five years ago, Guillermo del Toro gave the world Pacific Rim, a massive spectacle of a film that pitted giant robots piloted by telepathically linked soldiers against equally giant monsters, with the fate of humanity at stake. It was a film borne of the mind of a talented filmmaker who was given a blank check to make the sort of movie he grew up watching, filled with oversized action and simple, sincere themes wrapped around the city-stomping events transpiring on the screen. 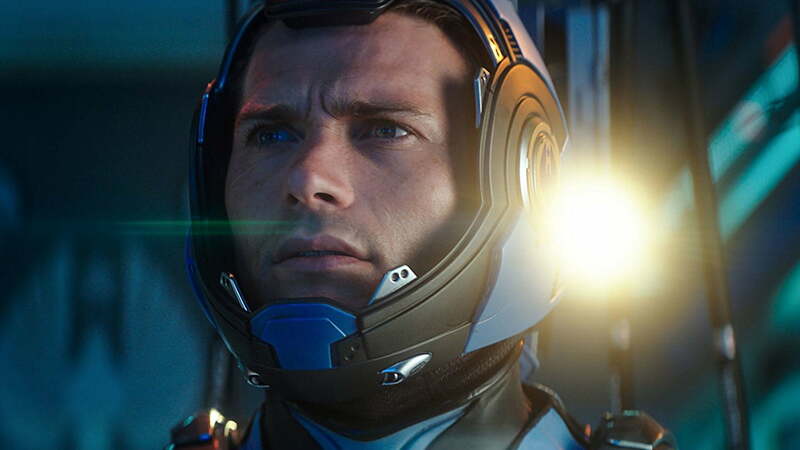 Pacific Rim was a movie made by an adult capable of channeling the wonder of his childhood in gigantic, fully rendered cinematic glory. It’s difficult to ignore the Idris Elba-sized hole in Uprising. That film’s long-awaited sequel, Pacific Rim Uprising, finally arrives in theaters after half a decade of uncertainty and delays, and with a cast of fresh faces and new robots charged with canceling the apocalypse — per the rally cry from the first film — once again. 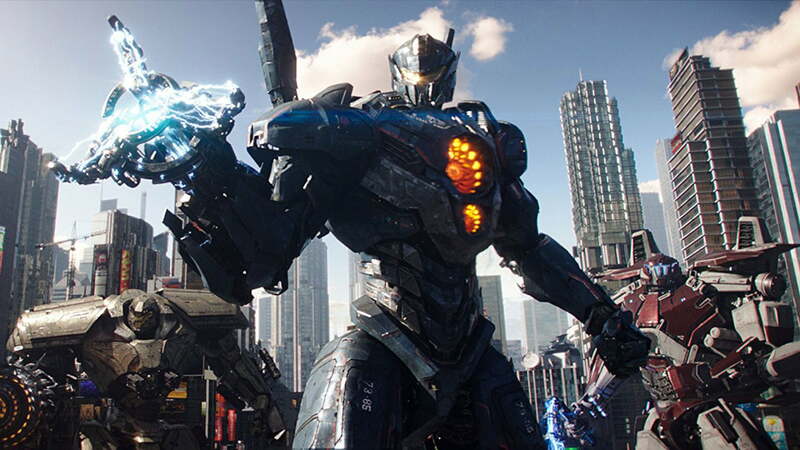 Now led by a charismatic new protagonist, Uprising gives fans of the first film all the robot-brawling action it can pack into 110 minutes. That extra action comes at a price, however, as it never manages to match the heart of its 2013 predecessor. Directed by former Daredevil showrunner Steven S. DeKnight in his feature debut, Pacific Rim Uprising casts John Boyega (Star Wars: The Force Awakens) as Jake Pentecost, the son of Idris Elba’s character in the previous film. 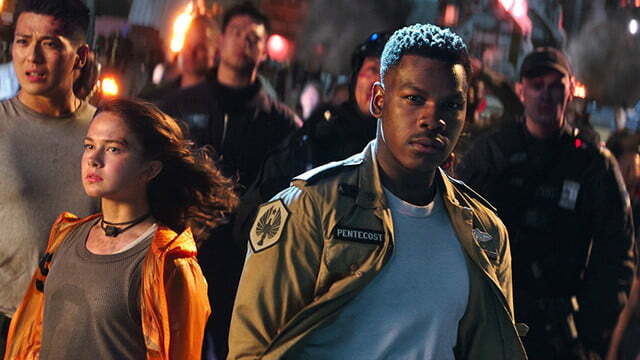 The film is set ten years after the events of Pacific Rim, and has Jake taking on the role of reluctant mentor to a group of hopeful pilots that includes a brilliant young girl, Amara Namani (Cailee Spaeny). When a new threat emerges with ties to the creators of the monstrous kaiju, Jake and the young pilots must learn to work together — using the massive robots known as Jaegers — to fend off another kaiju invasion. It’s difficult to ignore the Idris Elba-sized hole in Uprising, given his memorable — and infinitely quotable — performance in the original film, but the studio gets credit for giving Boyega plenty of opportunities to fill that void. The Star Wars actor takes advantage of the chance to expand his range in Uprising, and it results in a character that smoothly transitions from charming rogue to rousing leader. It’s a different kind of role for Boyega, whose best-known roles up to this point have been a conflicted former stormstrooper in the Star Wars movies and a stoic teenage criminal-turned-hero in 2011’s Attack the Block. 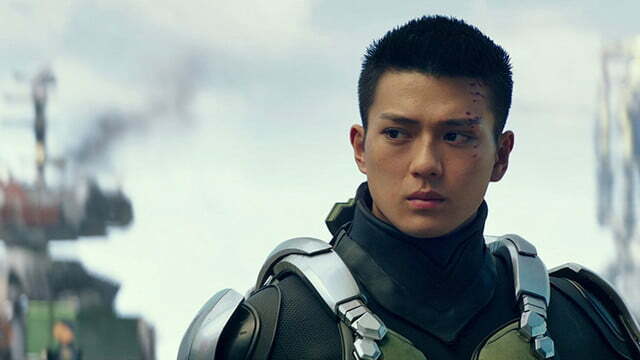 His performance in Uprising stands out as one of the bright spots in a film that otherwise seems content to sacrifice substance for visual style. 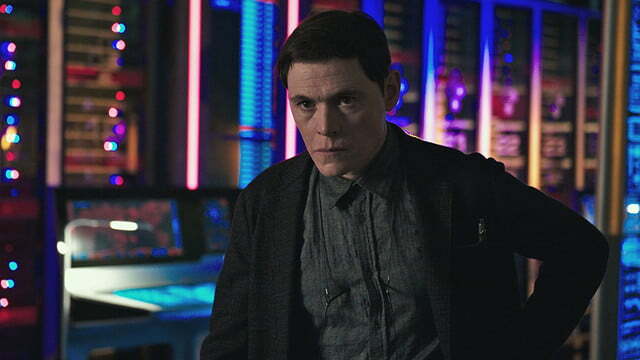 Charlie Day and Burn Gorman both reprise their roles as a pair of eccentric scientists tasked with studying the kaiju, and although they get the most screen time of any returning characters, both actors’ performances feel a bit muted this time around. Sadly, the humor that came from their shared scenes in the first film is practically non-existent in Uprising, and Day in particular feels wasted in a role that doesn’t give him the freedom to be funny. 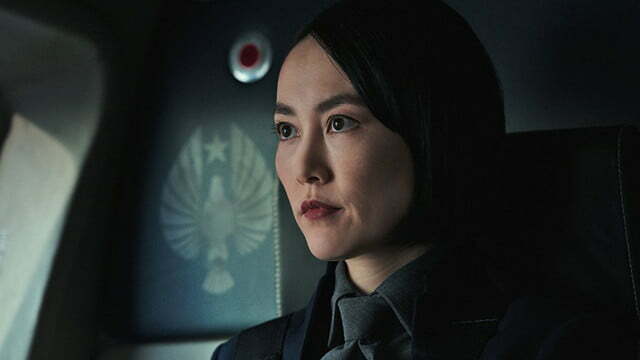 Unlike the first Pacific Rim, which made a respectable effort to build an emotional connection between its characters and the audience, Uprising is perfectly comfortable with letting the giant robots — rather than the human characters — be the real focal points of the film. One gets the impression that, with the exception of Boyega, Uprising would be happy to dispense with its human characters entirely if it could get away with it. And yet, the film also makes it easy to forgive its character and story issues by delivering some amazing action sequences. 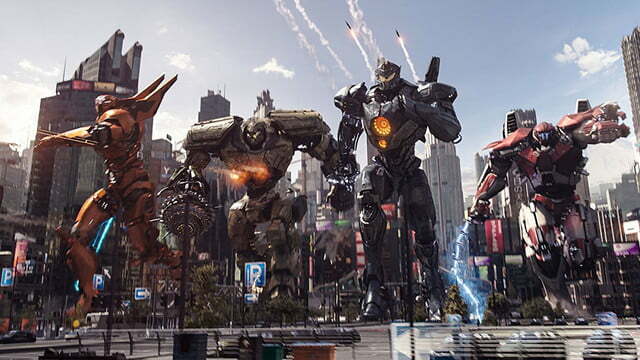 The first film focused almost entirely on one robot, Gipsy Danger, with the other Jaegers playing brief supporting roles with little, if any, screen time for their brawls with the invading kaiju. 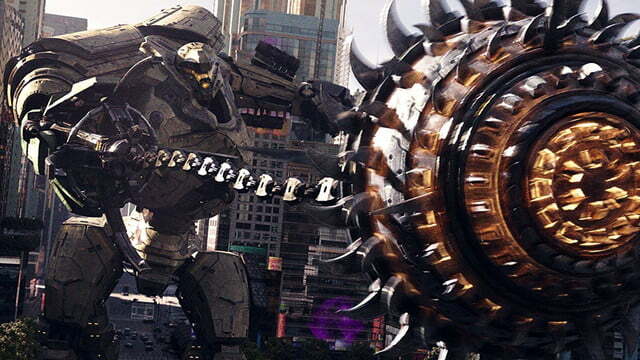 Given how unique each gigantic robot was and how much time was clearly invested in designing them, it was disappointing to see them play such minor roles in the original film..
Uprising makes no such mistake, and lets each individual Jaeger have its moment in the kaiju-battling spotlight. The fight sequences in Uprising are well-choreographed and crisp. 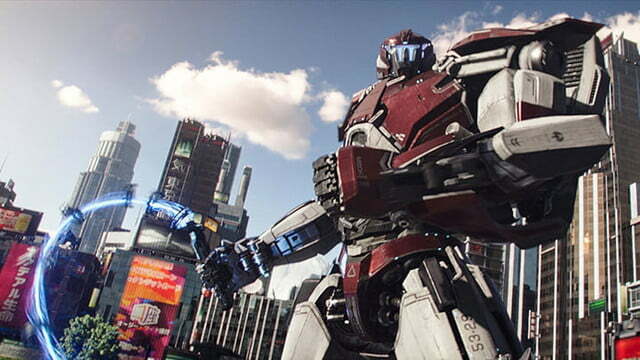 The fight sequences in Uprising are well-choreographed and crisp, and there’s a sense of scale in the action that makes every moment feel as large as it should when watching giant robots battle giant monsters in the middle of a crowded city. Like its predecessor, Uprising peppers the giant-robot action sequences with scenes of the human pilots manipulating their Jaegers, and this goes a long way toward making the sequences feel less like a cinematic cut from a video game. Where the first film seemed to unfold in perpetual night, Uprising also feels notably lighter — both visually and tonally — than its predecessor. 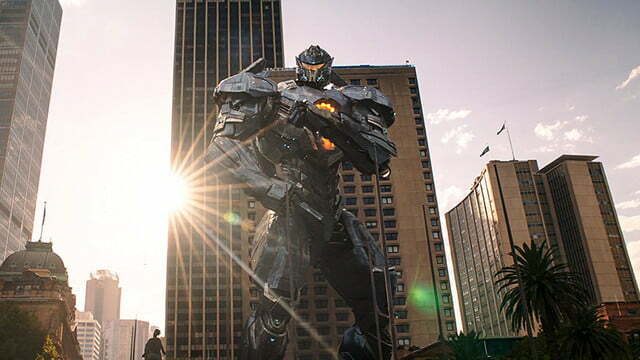 The combination of its young cast and a daytime backdrop for many of the fights makes Uprising feel more aligned with morning television’s giant-robot shows and rubber-suited monster movies than the darker sci-fi horror elements of Del Toro’s 2013 film. Whether that shift in tone is considered an improvement or a downgrade will likely differ from one viewer to another. 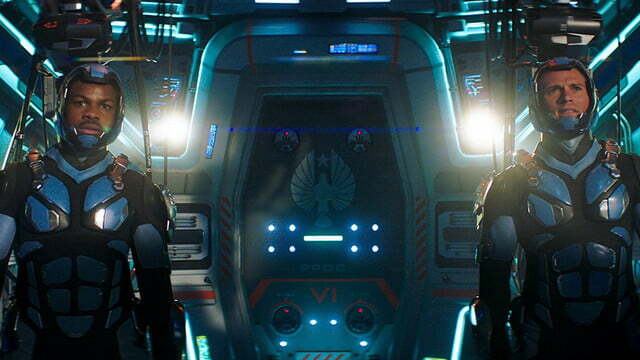 As a sequel, Uprising improves upon Pacific Rim in some ways, but lowers the bar in other key areas. 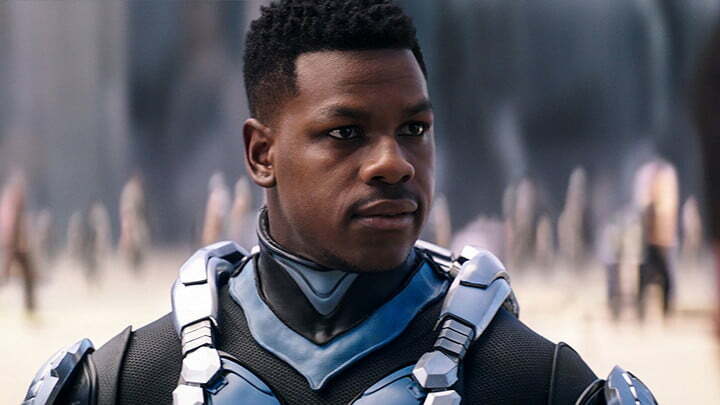 Fans of the first film looking forward to bigger, better giant-robot brawls won’t be disappointed, and the same can be said for anyone who appreciates seeing Boyega try — and succeed — at playing a new kind of character. On the flip side, anyone expecting Uprising to build on the dramatic elements of the first film or offer a more cohesive narrative this time around probably won’t be satisfied with what the sequel brings to the screen. Uprising leaves open the possibility of future installments, and if you come for the giant robots and spectacle, Uprising won’t disappoint. Audiences hoping for something more substantive, however, may wish the canceled apocalypse from five years ago stayed that way.